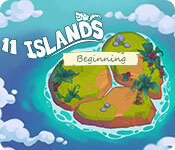 Help the young heroine rebuild her house on the eleven islands. Collect three juicy pieces of fruit in a row, excavate the tribe’s magic totems, and defeat the demons of the volcano to restore the tropical tribe’s prosperity! 11 Islands is rated 2.8 out of 5 by 11. Rated 5 out of 5 by verimeri from simple but fun I have played the first 60 min demo and am going to buy. It's not a terribly complicated game so far. You get plenty of power-ups, the basic game play is pretty easy. I chose relaxed although you can play timed if you wish. I don't like the stress. I can see that something happens at level 20 although at this point I have no clue what. But is was an easy buy for me. I may change my mind at some point but right now I am going to buy it. It seems like the sort of game I can play when I just want simple and relaxing. Rated 4 out of 5 by brimaz from I LIKE IT! Come on, reviewers - this is not a bad game! It's fun, fast moving (despite the fact that you have to wait for tokens to fall before making your next move) and I'll be buying it. I've been playing match 3 games for 20 years - some fantastic, some good, some so bad you wished you'd never wasted download time, but this one is quite o.k. Rated 3 out of 5 by coolmom4 from More for kids. It's a bit slow, no real challenge and you have to wait for things to fall before making another match. More for my grandkids ages 5 and 9. Rated 3 out of 5 by deddu from MIND NUMBING Match 3's are one of my favorite games, but not this one. There are no instructions but the idea is that you are to restore these islands by matching colorful fruit, uncovering totems and eliminating monsters. There are three modes of play: limited moves, limited time, or relaxed. In the first 20 levels you need to "win" 2 games to upgrade an island. In the next set after 20 you need to win 3 games (gain 3 stars) to upgrade the island again, and so on. I really becomes very boring. Rated 3 out of 5 by MissMaddie from Easy fun I was able to load and continued playing. So, I have not tried to remove the game as the previous Reviewer. The colors are fair, there is little or no instruction and the game play is medium challenge. But, for some reason I like it. Heaven help me...I went ahead an bought the game. You decide for yourself. Rated 2 out of 5 by campingramps from Take it or leave it, I'll leave it I'll say it again, I am not a match 3 fan and this one confirms why. Yes, I do keep trying them because, eventually, a good one comes along that I enjoy. Eleven Islands is not one I would keep unless I had a small child just learning computers. That's how easy and boring it is. 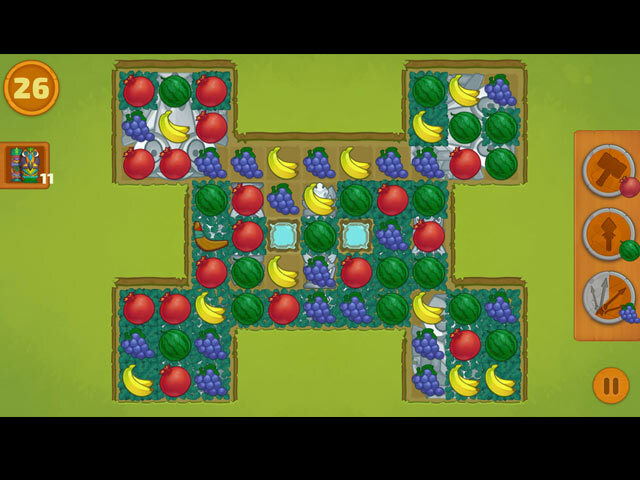 Every level is the same, match 3 or more and get a certain number of the fruit or shells or totems or whatever. 3 modes of play so you can play in "boring but I'll never win", "boring but I might win", or just plain "boring and I'll win all the time". There are people out there who love these games and I wish them well but I want adventure and excitement in my games. Sorry, but I can't recommend this one but try the demo and have fun. Rated 2 out of 5 by Kafinkee from PU Having to wait for all tiles to fall before making another match makes the game a no-buy for me. Fairly primitive game in my opinion. I tried hard to give it a chance, M3 is my favourite genre, but I couldn't make it past the first 20 or so minutes. I just didn't find it fun. Rated 1 out of 5 by pennmom36 from THANK GOODNESS THERE AREN'T 12 LEVELS! This is another disastrous Match 3 game that definitely has no replay value, in fact, I couldn't handle more than 5 minutes of the demo! You can choose to play in a Timed mode, Limited Moves or Relaxed mode of difficulty. There are refillable Boosters and 30 different Upgrades available throughout the 100 available levels if you can endure it that long! 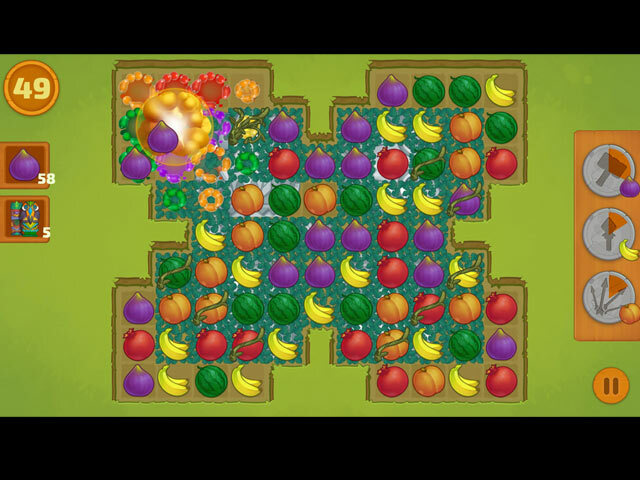 In a nutshell, you are tasked with making matches of at least 3 identical Fruit Pieces, and you get powerups when you make large matches. 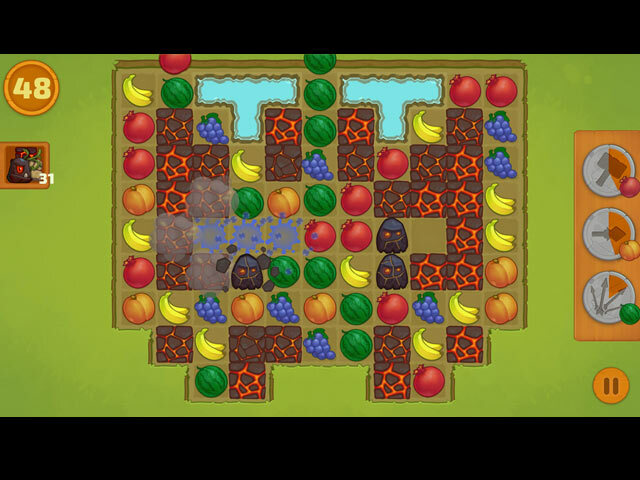 I hate Match 3 games that don't allow you to make matches until all tiles finish falling or doing their booster thing. It's bad enough that there are Limited Moves, but when a game is timed and you can't make matches quickly, that's just plain annoying...and a definite NO for me!